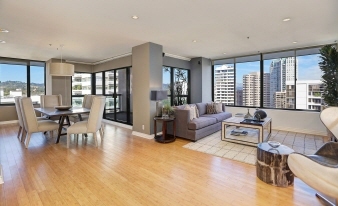 Interior Features Open Floorplan with City Lights and Panoramic Views from every window! Spacious and Sunshine Bright! Lovely space and Best Location! Exterior Features Luxury Amenities include 24/7 Valet and Concierge Services.